Furious 7 is finally in theaters this weekend! To celebrate, star Dwayne Johnson stopped by Saturday Night Live to host. One of the most popular skits of the night found the WWE Superstar and action icon taking on what might be the role of his life! Yes, he stepped into the legendary revenge-filled hooves of Bambi! Spoofing Walt Disney's recent trend of turning all their classic animated movies into live-action fairy tale adventures, Saturday Night Live imagines what a real life Bambi might look like. It's not all sweet innocence and reindeer games though! These forest animals mean business. And one of them is gunning for vengeance! 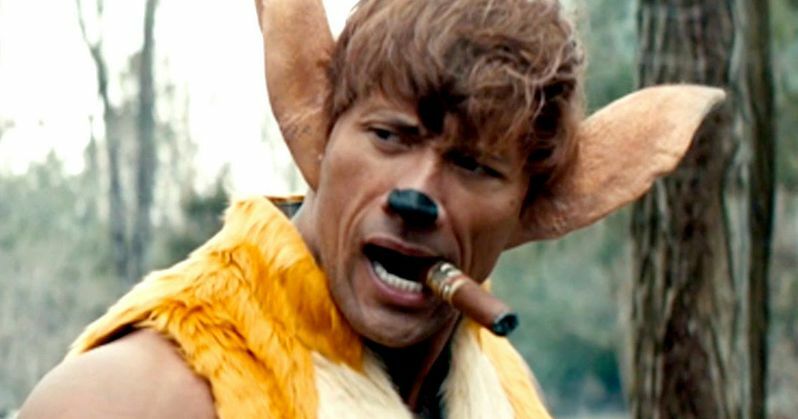 That's right, SNL and The Rock put a Furious 7 spin on this family favorite movie, turning Bambi into an action-packed blast of explosions that you have to see to believe. Starring in this live-action take on Bambi are Dwayne Johnson as the title character, Vin Diesel (Taran Killam) as Thumper, Tyrese Gibson (Jay Pharoah) as Flower and Michelle Rodriguez (Cecily Strong) as Faline. Strap yourself in and prepare for one heck of a wild wilderness ride! We also have video from the show's opening monologue, where The Rock refers to himself as 'franchise viagra'.